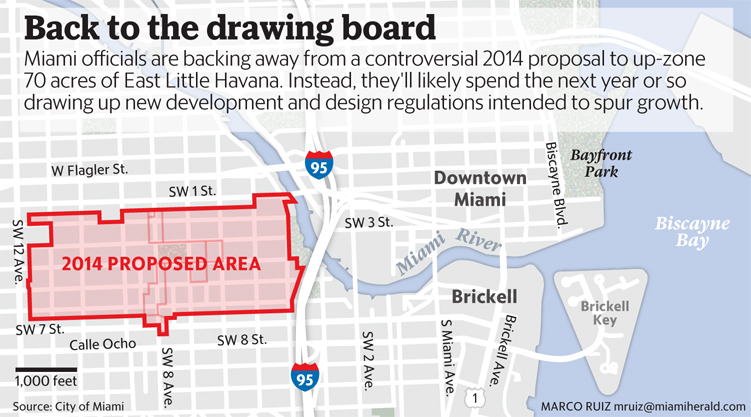 Once seemingly on the fast-track to approval, controversial legislation designed to spur growth in East Little Havana has been scrapped amid concerns that it would gentrify the storied community and displace its predominantly poor, immigrant residents. During Thursday’s meeting of the Miami Commission, city planners will nix plans to up-zone 32 blocks by withdrawing a proposal that first surfaced more than two years ago. The legislation, proffered to renew investment in a working-class neighborhood by allowing for taller, denser development, received tentative approval from Miami commissioners in early 2015. The state approved the measure but amid pushback from activists and preservationists, it disappeared from the political radar. The proposal finally resurfaced this week, only to be pulled. Francisco Garcia, Miami’s planning director, said the department concluded that the proposal still needed work, and had become too polarizing. “We found it very difficult to overcome the perception that this would result in displacement,” Garcia said. But the death of the rezoning proposal does not mean the end of efforts to jump-start development. Rather, it marks the beginning of a new direction. The neighborhood, despite pockets of vacant lots and run-down apartments, remains alluring to real estate interests. Garcia said it’s likely the city will continue to look at increasing density by considering allowing more units per acre, but pull back on discussions about increasing height. Planners also will look at new design regulations. A group of business owners pushing to create a Little Havana Business Improvement District would like to emulate Wynwood business owners, who with the help of PlusUrbia, created design and zoning guidelines for the neighborhood. 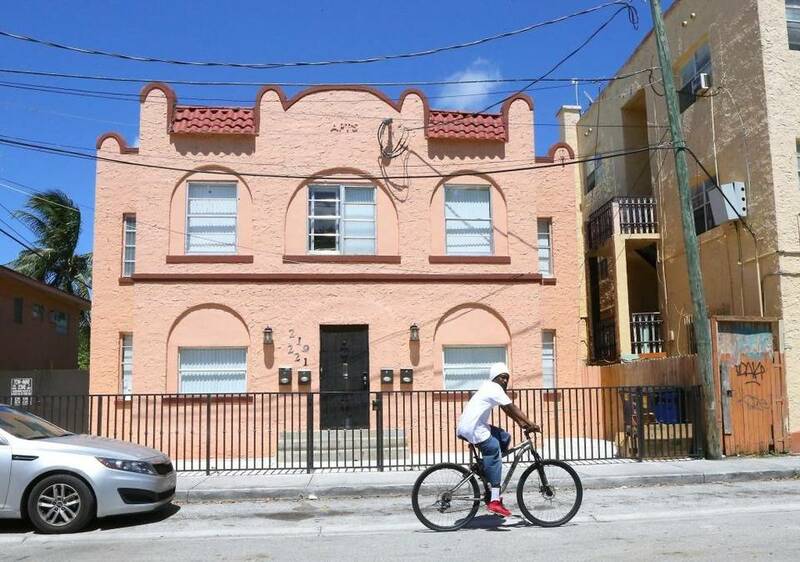 Meanwhile, Dade Heritage Trust is pushing to expand preservation efforts in Little Havana, which is filled with dozens of notable buildings from the early- and mid-20th century. The city created the neighborhood’s first historic district in 2015; it was the same year the National Trust for Historic Preservation placed East Little Havana on its list of America’s 11 most endangered communities. Coincidentally, the city is withdrawing its up-zoning proposal one day before the National Trust, the country’s principal preservation organization, is expected to announce new involvement in the neighborhood at a press conference in Little Havana. “Any future legislation will have input from the National Historic Trust,” said Mayor Tomás Regalado, who declined to discuss the details of Friday’s event. Going forward, Garcia said his department will continue to study the area to draw up new regulations. City planners will also monitor the results of new city legislation that, if approved next month, would allow developers who set aside affordable housing residential units to potentially double the number of units allowed.